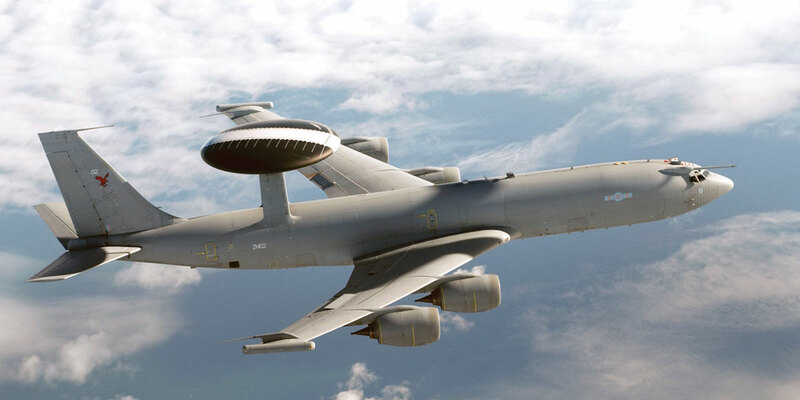 The Royal Air Force has an aging and only part-serviceable fleet of six E-3D Sentry AEW&C aircraft that have not been upgraded in parallel with similar aircraft operated by the U.S. and jointly by NATO. Something must be done, and some observers believe that the RAF wants to buy Boeing’s Wedgetail system based on the 737 airframe, without a competition. Two years ago, the UK chose the Boeing P-8 as its new maritime patrol aircraft, also based on the 737 and without a competition. In an unusual move, on July 3 the Parliamentary watchdog defense committee published a letter sent by its chairman to the UK Minister for Defence procurement that warned against a sole-source bid for AEW&C aircraft. There was “at least one highly credible alternative,” the letter stated without further explanation. Airbus Defence and Space also made a pitch: “We encourage the UK to hold a competition and we are exploring derivatives of the Airbus A320 and A330 airliners,” the company told AIN. A spokesman noted that the A330 tanker is already in RAF service. Israel Aerospace Industries could also be a contender, with its Conformal Airborne Early Warning aircraft based on the Gulfstream G550 business jet. RAF chief Sir Stephen Hillier told AIN that both the E-3D upgrade or replacement options are under consideration. “We’ve done all the analysis that we need at this stage,” he concluded.